Forest of the Dead is one of the best power leveling maps in the game for casters. This is a rather small map with 12 different enemies, standing in two separate lines of 6 enemies a piece both of which have 100% EXP tiles underneath them. In addition to just grinding Forest of the Dead for EXP, this is also the best map in the game for you to level up your magic spells. Each time you rank up a magic spell it lets you target a larger area, this goes for both healing and attack magic. What I like so much about this zone is the enemies here are all lower level and quite weak, even when you start passing bills that increase their levels. Due to this, they're great for raising up caster's magic attacks. I typically run this map more often to level up my individual magic spells than I do for the EXP. It's not hard to unlock the third rank of each magic spell which lets you target a line of 3, it takes awhile though to level it up further to cover the 3x3 area we see in Cave of Ordeals. The enemies on this map start at level 37 and 38; that's prior to any bill you pass which increases the level of the enemies you'll encounter. Your goal is to defeat all of them in a single turn each time otherwise they'll step off the bonus EXP tiles and you'll lose out. 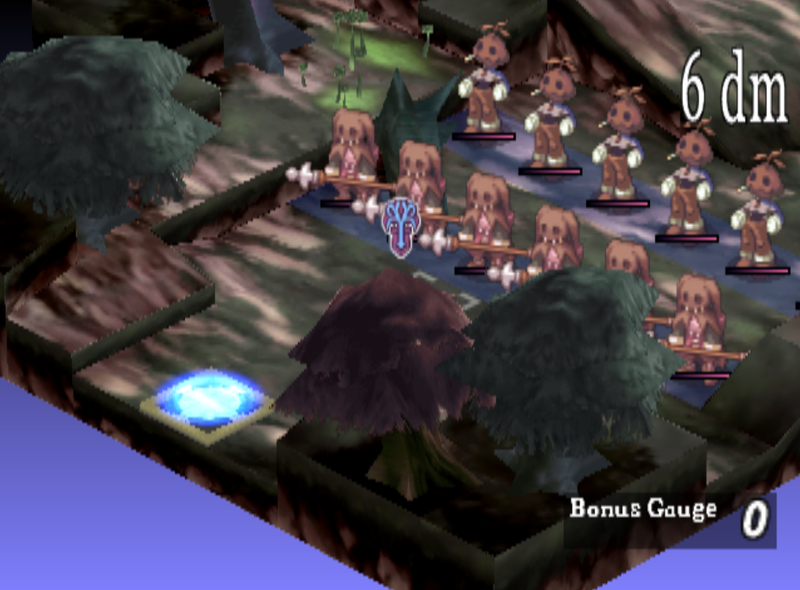 That's why I like this map best for casters, since the enemies are lined up perfectly for the 3 in a row AoE spell. If your casters aren't high enough level to take all of these enemies out in a single turn then I recommend you get them some levels on either the Jotunheim Map or Celestia Map if you have that one unlocked before coming here. You can level them extremely fast in Celestia using Team Combo Attacks.